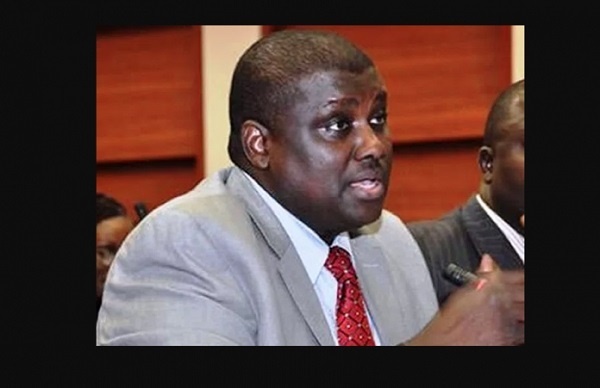 The former chairman of the Presidential Task Force on Pension Reforms, Abdulrasheed Maina, is insisting that he is innocent and that he will prove it and also recover looted funds if given an opportunity to. There is a lot shrouded in secrecy in the Maina issue. Days after the Attorney-General of the Federation, Abubakar Malami, denied issuing any letter for Abdulrasheed Maina's reinstatement as a Deputy-Director in the Ministry of Interior, Maina opened up, revealing a few things. "When I get to that public hearing, I will tell you some things that nobody ever told you Mr President because I never had the opportunity to sit down with you," Mr Maina said on Monday. Maina has documented evidence and he wants to show president Muhammadu Buhari to prove his innocence and to show the President that he is being deceived by people. The embattled former chairman of the Presidential Task Force on Pension Reforms on national television on Monday insisted that he was innocent of the allegations of fraud against him. Maina says he knows that President Buhari is being deceived by people who surround him. "Thank God our President stands for the truth. The unfortunate thing is that some people around him whom he has given trust are lying to him. "This one I can attest to and I can give you instances, I can give you documentary evidence," Maina insisted. "I’m appealing to you Mr President, there are so many things people are not telling you,” he said, promising to reveal more at a public hearing that will hold soon. Maina's nightmare started after he returned to Nigeria and was reinstatement even when he was earlier declared wanted by Economic and Financial Crimes Commission (EFCC) in 2015 over allegation of pension fraud. After Nigerians' outrage, questioning the credibility of the fight against corruption that the current administration boasts with, President Buhari ordered his sacking. But Maina is denying any involvement in the pension fraud. Instead he claims his team recovered about 282 billion Naira cash for the government and that his life was in danger, apparently a reason he fled Nigeria. He is also promising that if given the opportunity he will recover at least 1 trillion Naira in three months. "I recovered money for the last administration and I recovered money for this administration. "Most people may not understand this but let me explain this to Nigerians because I want the truth to be told and I want Nigerians to understand the truth and know what is going on in Nigeria. "Listen, I am not afraid of anybody. I am saying the truth. People portray themselves as if they are saints around the President. "It is a lie, they are not. We recovered as a team, 282 billion Naira cash. Aside from the 282 billion Naira, we were able to bring information and caught 43 pension suspects. "They have threatened me, they have threatened my lawyer, they have threatened my brother, sister. They have threatened us all that I will be killed. "Mr President, I will give you information and documents that will fetch you over 3 trillion Naira now in Nigeria, give me nine months. "Within the first three months, I will show you 1 trillion Naira just like I showed you 1 trillion Naira in this 2017,” he said.